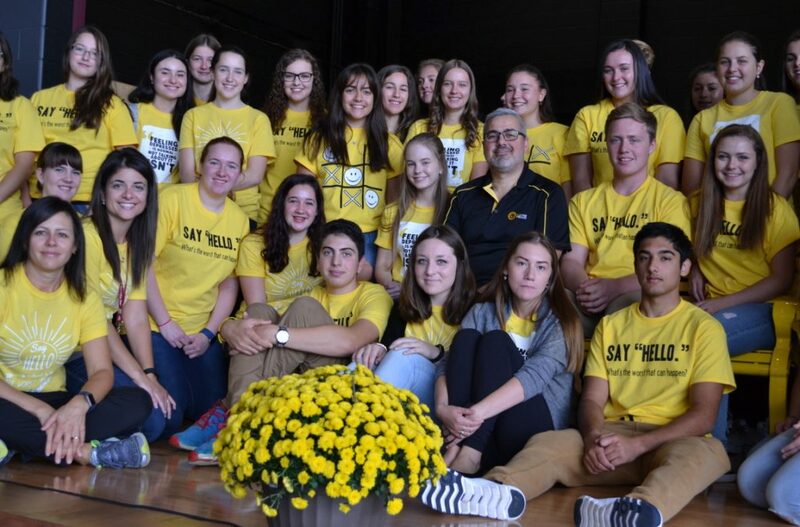 St. Mary’s College in Sault Sainte Marie, Ontario was the 3rd consecutive unveiling in as many weeks for The Lucas Fiorella Friendship Bench as we enter our second scholastic year attempting to paint the country yellow for student mental health awareness. .
St. Mary’s College represents that 12th Canadian school to adopt the Friendship Bench and #YellowIsForHello student mental health awareness campaign with another dozen scheduled this fall. 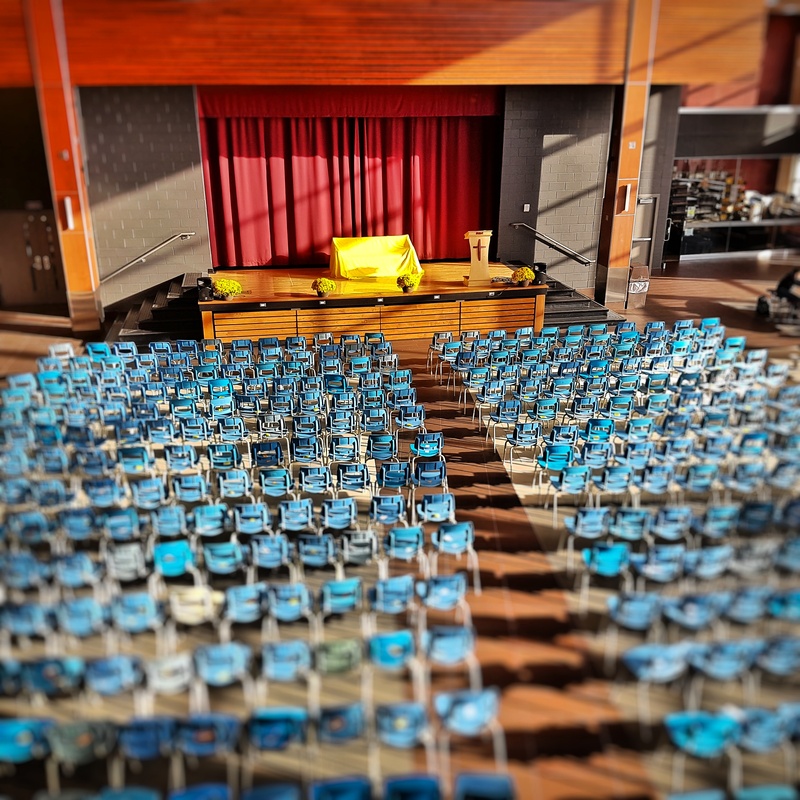 This week’s event was a two day affair; St. Mary’s College hosted a parent and community mental health lecture lead by yours truly and followed that with a very positive and uplifting unveiling ceremony in front of approximately 500 students. 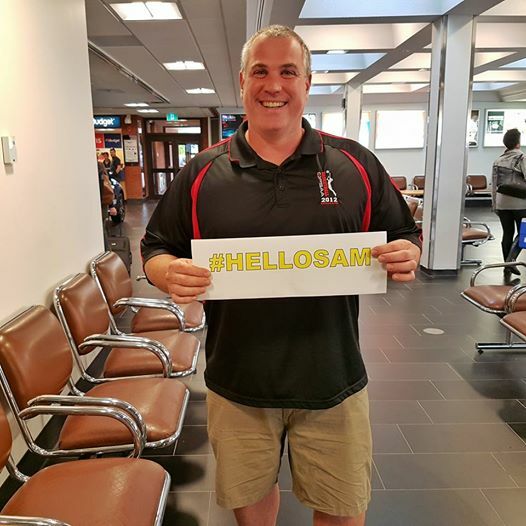 Adriano Carota greeted me with this clever and thoughtful “#HelloSam” sign at the airport. #YellowIsForHello, indeed. 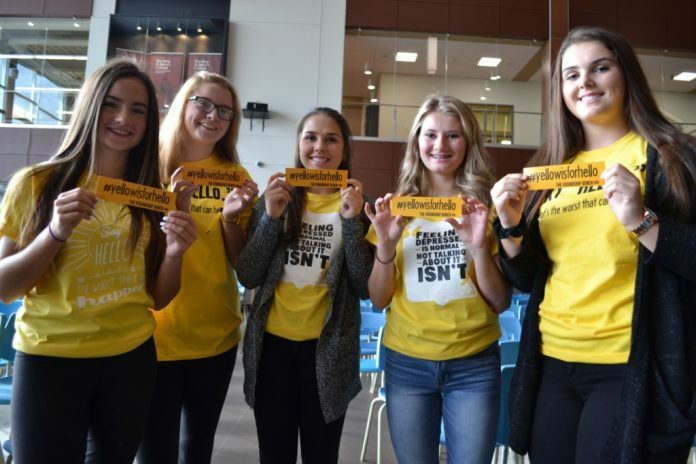 “The St. Mary’s College IMPACT team (Inspire and Motivate Peers to be Active Compassionate Teens) is committed to raising awareness for the well- being of the students in our community. 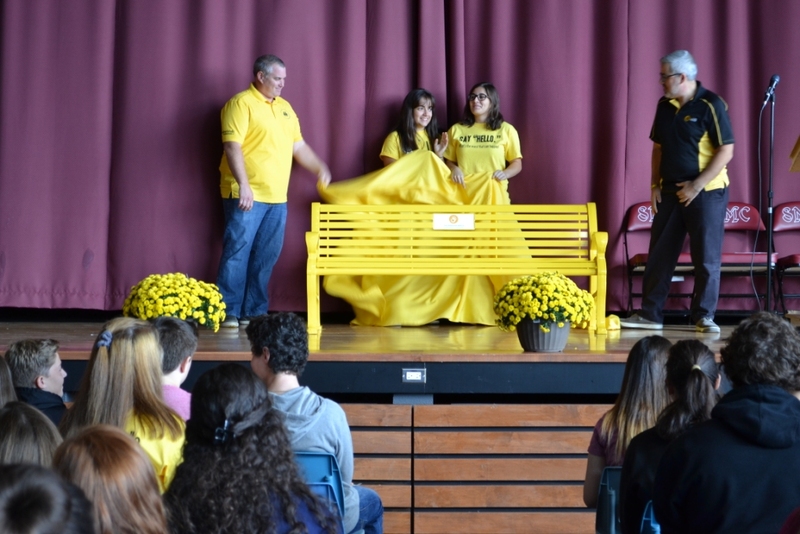 The Friendship Bench will serve as a visible reminder of our school’s commitment to creating a safe, healthy place for all,” said Adriano Carota, Guidance Counsellor and IMPACT mentor at St. Mary’s College. Mr. Carota and the IMPACT team have been actively fundraising for the last few months in order to bring The Friendship Bench and the #yellowisforhello program to the school and community. 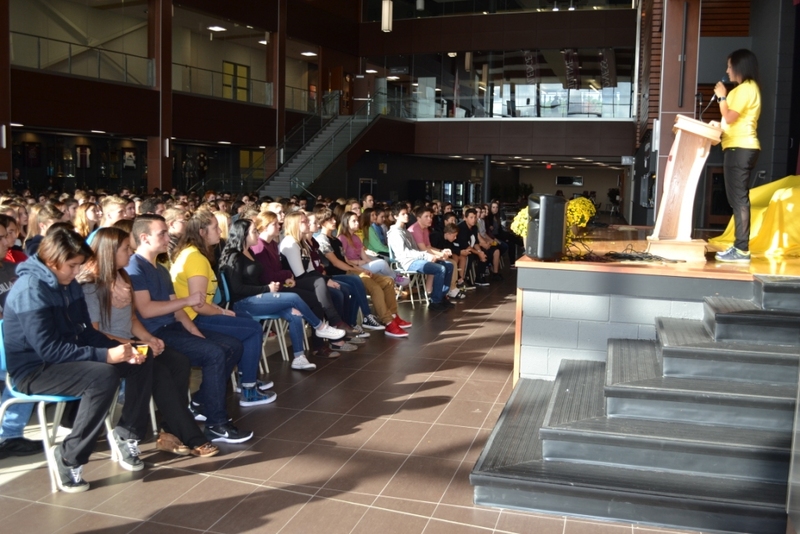 St. Mary’s College IMACT team addressed the large crowd of students, speaking about the importance of mental health awareness among students and challenged more students to talk openly about it. 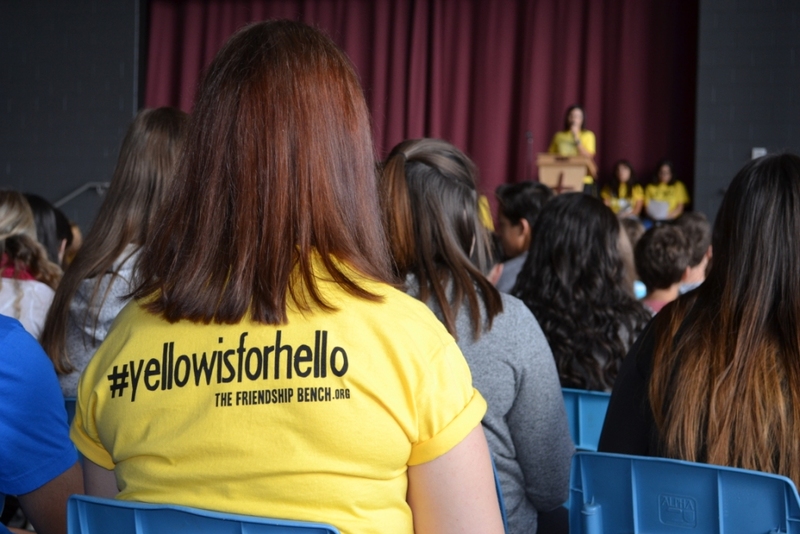 They staged a powerful demonstration by seeding students in #YellowIsForHello t-shirts throughout the crowd and asking them to stand up to represent the percentage of kids who suffer from various forms of mental illness. A few sat down with the remaining visually demonstration the number that don’t get the assistance they need. 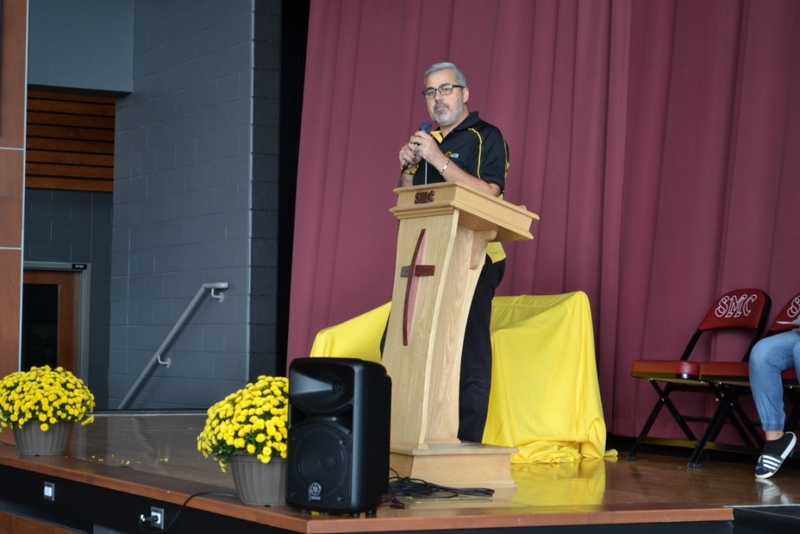 Northern Ontario communities, especially aboriginal and first nation communities – are increasingly affected by the depression-related suicides. We’re proud to expand our program into these communities and thankful to St. Mary’s College for welcoming us into its school. We are anxious to work collaboratively and get more students talking to each other and available on-campus professional support services.